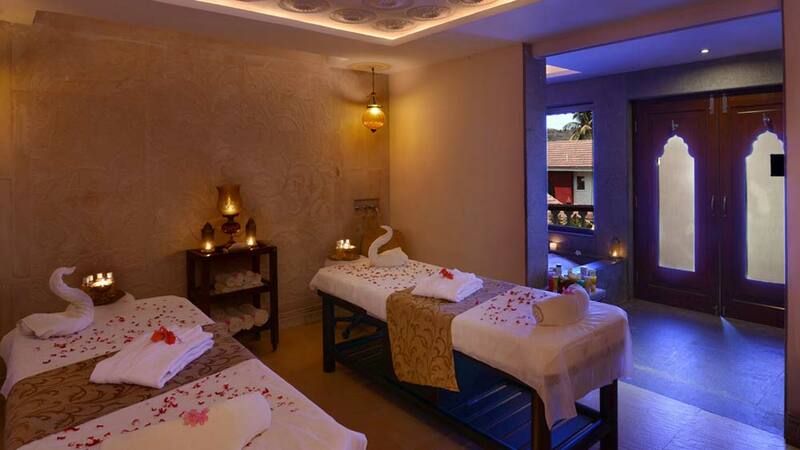 Located near the serene Bagha beach in Goa, Zaara Spa at Resort Rio is spread in an area of about 7,000 sq ft. The spa was officially launched in August 2010. The Med spa offers the best authentic and highly effective ayurvedic, curative and rejuvenative treatments. One can choose from a variety of treatments to meet specific needs from customised herbal remedies, therapeutic massages, relaxing oil treatments and lot more in Beauty. In an exclusive conversation with Wellness India, Alpa Shah, Director, Resort Rio, a five star luxury deluxe spa resort in Arpora, shares scope and opportunities of spa business in Goa and much more. The potential for the spa business in Goa is fantastic. As a popular holiday destination, the spa business in Goa has a tremendous potential. I believe that Goa can learn a lot from Thailand, where you will find a spa or at the very least a foot massage outlet in every corner. Secondly, India is well known for alternative medicines, such as homeopathy and of course wellness therapies such as yoga and Ayurveda massages, and I think Goa can capitalize on this. Thirdly, fitness, wellness, relaxation and meditation are becoming key priorities in our busy lives, and a spa which can offer all this and much more is fast becoming a key or even a deciding factor in choosing hotels. We have identified this trend and hence at Resort Rio, we have some incredible chefs at our restaurants, who create wellness menus or healthy options tailored specifically for each individual guest. We will also be launching an Ayurveda menu for the health conscious. The market is somewhat competitive in a sense that there are day spas offering therapies at cheaper rates. However, these do not offer the same level of privacy, service or the ambience as our Zaara Spa. At Zaara Spa, our focus is to give the very best experience to our guests from the moment a guest walks in right up to the time he or she walks out of the spa. We have superb therapy rooms including 3 couple rooms with en suite rainwater shower, bathtub and steam. With soft soothing music playing in the background, the correct room temperature and qualified professional masseuse expert in a variety of therapies, the experience the guest receives is second to none. In our view, guests are willing to spend for a fantastic experience and of course, we provide incredible value for money. We focus on offering a complete healing experience and have a host of programmes to offer at Zaara Wellness as well. Zaara Spa is a unique health and wellness oasis that offers holistic treatments through a blend of unique therapies. We have two Ayurvedic rooms, one Thai massage room, three couple rooms, two single rooms, two steam rooms, one relaxation area and a dedicated consultation room. Complete with a beauty salon, spa pool and a foot massage lounge, Zaara Spa & Wellness is a retreat for complete mind and body rejuvenation. We have a state of the art gym with a qualified fitness instructor and we also offer Yoga and Taichi. We also have an in-house Ayur-shop well stocked with all kinds of Ayurvedic Beauty and body care products. To be honest, our strategy is in wooing our customers – the guests staying at Resort Rio and the locals who over time swear by our offerings and services and visit us frequently. Zaara Spa provides an incredible experience and we are finding that word gets round and tourists staying with other hotels then come to Zaara Spa. We rely generally on providing a fantastic experience and of course value for money which our guests talk about. We believe that the "word of mouth" marketing with our customers recommending us is better than any other form of advertising or marketing! We have recently been recognized as one of the best spas by Trip Advisor and have been awarded the 2015 Certificate of Excellence. This is all thanks to our happy customers. Rewards like these, makes me believe that we have taken the right approach. Our return on investment is in the region of 30 per cent per annum and rising. Our therapies range from Rs 3,000 to Rs 16,000. Our focus is on providing the best experience and using quality products rather than undercutting the price. Ultimately, the guests need to feel that they have received good value for money. We ensure that we select qualified staff with efficient spa skills. Moreover, after recruiting them, we provide regular in house training programs to the staff to hone their skills. Furthermore, our in-house doctors are readily available to provide expert advice regarding any product and practice. We also have an in-house internationally acclaimed self defense trainer, Reiki healer and astrologer. Our focus at Zaara Spa & Zaara Wellness is to deliver a complete healing experience – mind, body and soul. In our endeavor to offer our customers the best of services and treatments, we constantly introduce new services. For instance, we now have a resident acupuncturist, wing chun/ kung fu master, reiki healer and astrologer. We will soon be introducing a host of cupping therapies and some innovative massages. We will also be launching chakra balancing programmes and weight loss herbal life programmes at Zaara Wellness. We have something to suit every mood and taste. Be it relaxing massages, refreshing wraps, special body care treatments or wellness programmes.